Things were starting to come together in the long lead-up to an all-out war with the Saviors in the Sunday, March 5, episode of The Walking Dead. The Walking Dead's 10 Most Shocking Deaths Ever! That mother lode of guns and food the survivors have been praying to find? It presented itself in the form of a walled-in school carnival turned military encampment, where dozens of undead soldiers were wandering around the fairway armed with a veritable buffet of weaponry. Thrilled by their discovery and drunk on chili-mac-and-cheese MREs, Rick and Michonne showed once again why they’re zombie America’s ultimate power couple, as they methodically cordoned off and slaughtered the walkers (with a shout-out to this season’s ultimate gross-out moment in which Rick tried to dislodge a zombie from a car windshield and it fell apart like a sloppy joe). But it wasn’t all fun and carnival games: At a critical moment, Rick fell right into a pack of the hungry undead and looked for all the world like he’d been torn to pieces. Don’t worry, he’s OK. But for about 30 seconds, Michonne thought her boyfriend was dead — and she was so upset that she dropped her sword, which tells you everything you need to know about how much she loves him. 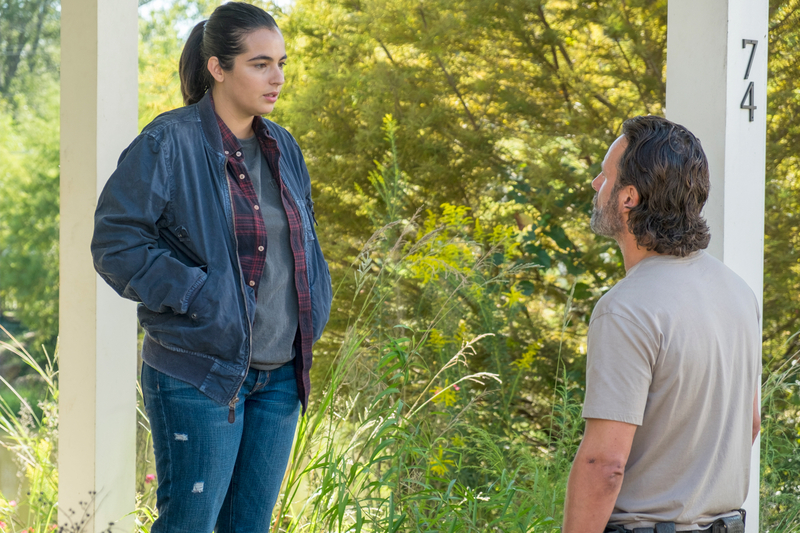 Meanwhile, Tara (Alanna Masterson) continued to struggle with the question of whether or not to tell Rick about Oceanside, the community of homicidal ladies who eat lots of fish and shoot strangers on sight. 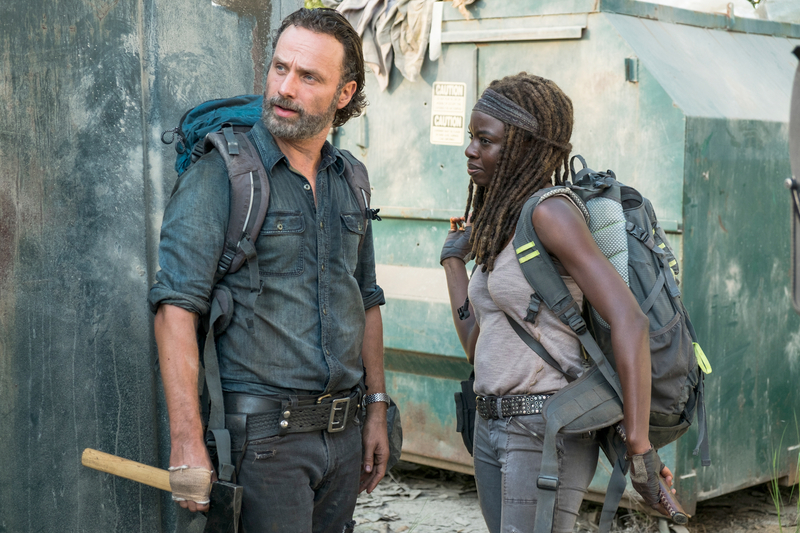 But after weirdo Jadis (Pollyanna Macintosh) and the Trash Ninjas declared Rick and Michonne’s weapons haul unsatisfactory, it looked like Tara had made up her mind to share what she’d discovered — which is also when it turned out that Rosita (Christian Serratos) had gone rogue. Yep, that’s right: No longer content to sulk around Alexandria being angry over the fact that Negan isn’t dead yet, Rosita packed a big gun and went to form an unlikely alliance. Her partner in vengeance? Sasha (Sonequa Martin-Green), who agreed instantly, on one condition: She gets to pull the trigger. But not only is this plan a serious long shot, it’s seriously dark — because the women made it clear that neither one of them expects to make it out alive.